Does Richard Vial live in the district he wants to represent in the Oregon Legislature? If he doesnt live in House District 26, the Republican nominee could run afoul of state election law. Molly Woon, Atkins spokeswoman, said Tuesday that the secretary of state had received a written complaint from Kathleen Stuart, executive director of FuturePAC, the campaign arm of the Oregon House Democrats. The complaint, a public document first obtained by The Oregonian Monday morning, is under investigation, Woon said. House District 26 is a far-reaching district stretching from Hillsboro south to Sherwood and Wilsonville. Republicans have controlled the HD 26 seat for the last decade. Current occupant John Davis (R-Wilsonville) is not seeking re-election. Matt Wingard of Wilsonville, also a Republican, held the seat before Davis, though during part of that time it had different boundaries. FuturePAC outlined its claims in a 23-page letter sent to Mickie Kawai, Washington Countys elections division manager. According to the letter, Stuart wrote that Vial, an attorney who lists his home address as 12840 S.W. River Road in Hillsboro, actually lives 2.7 miles away  on property that is just inside the House District 24 boundaries. Woon said that while investigators are looking into the matter  including the possibility of criminal wrongdoing by Vial, a matter about which she wouldn't elaborate  the Nov. 8 ballot had already been certified. Woon said Tuesday afternoon that Vial's voter registration card has listed his address at Southwest River Road since 1988. Should Vial be found to have run afoul of elections law but still defeat his Democratic opponent this fall, a process to replace him would unfold after the votes are counted, Woon said. 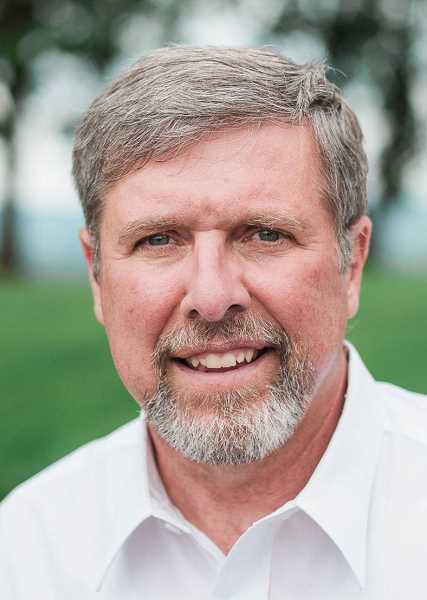 Vial is running against Democrat Ray Lister of Wilsonville. Neither has run for state office before. Reached by phone Tuesday morning, Vial said his permanent residence is the Southwest River Road home, known as the Scholls Valley Lodge, which he purchased in 1986. The sprawling, seven-bedroom house lies maybe a mile as the crow flies from the Rainbow Lane home, Vial noted. He characterized it as an Airbnb-genre property he sometimes rents out for weddings, memorial services and other large events. There are times we rent the entire space out, he said. When the lodge is full of family or guests, we stay at Rainbow Lane." While he and his wife, Paula, have occasionally spent multiple consecutive nights at the Rainbow Lane house, which they purchased in 2006 and remodeled in 2011-12, Vial said "It's never, ever been our primary home, and is not now. Rather, he said, they raised their large family on Southwest River Road for three decades and have always considered it their primary residence. Vial described the home on Rainbow Lane as a second or vacation home frequented by the couple's six biological children, seven Vietnamese refugee children  some of whom they adopted  and their 41 grandchildren. Aaron Fiedler, communications director for FuturePAC, told the Tribune the group had followed up on a rumor that circulated a couple weeks ago about Vial living outside his district, resulting in the formal complaint. There's a fairly long trail of documents showing that this other home is his primary home, Fiedler said, referring to Facebook posts and a blog by Vial, called Clearly Confused, showing photos of Vial's family members inside and outside the Rainbow Lane house. It's important for the voters of District 26 to know that they're electing someone who actually lives in that district. House District 26 spans parts of both Washington and Clackamas counties. In July 2008, Jeff Duyck  the GOP nominee in neighboring House District 29 that year  was found to be living in House District 26. Most of his property was in HD 29 and his voter registration card listed him as being in HD 29, but his house actually sat 125 feet inside House District 26. The problem was discovered before the ballots were ready to go out to voters, and Duyck dropped out. Vial said he expected to get a phone call from the Secretary of State's office this week and intends to answer their questions, but believes the kerfuffle is unlikely to hurt his changes in November. Meanwhile, the phones keep ringing at the address listed as the campaign headquarters for Rich Vial For Oregon, 23840 S.W. River Road in Hillsboro. I'm not going to do anything different  I'm going to keep knocking on doors, Vial said.